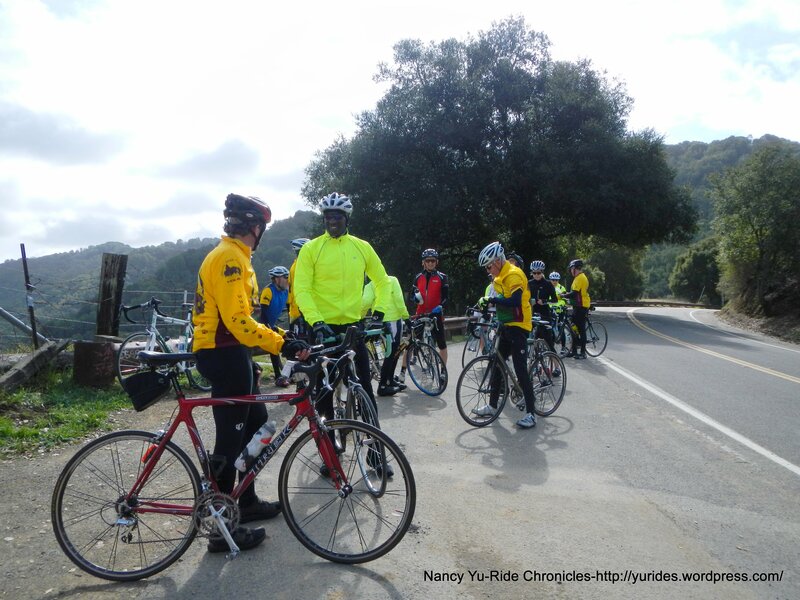 Michael and I are start out from Lake Temescal to go up Broadway and Tunnel Rd to meet up with Lisa M’s group at SIbley Park. 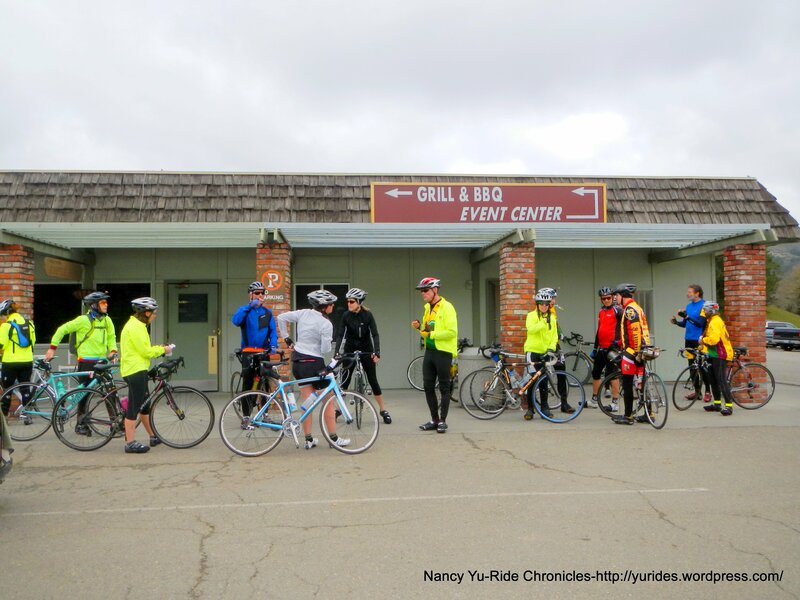 The club ride will take us on Redwood Rd out to Palomares Rd and back. 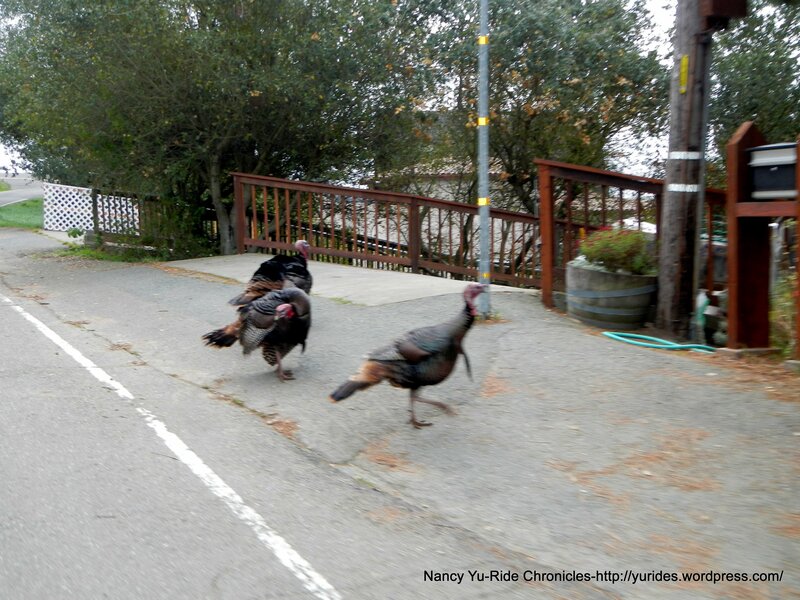 We exit the park and head south on Skyline Blvd to Redwood Rd. 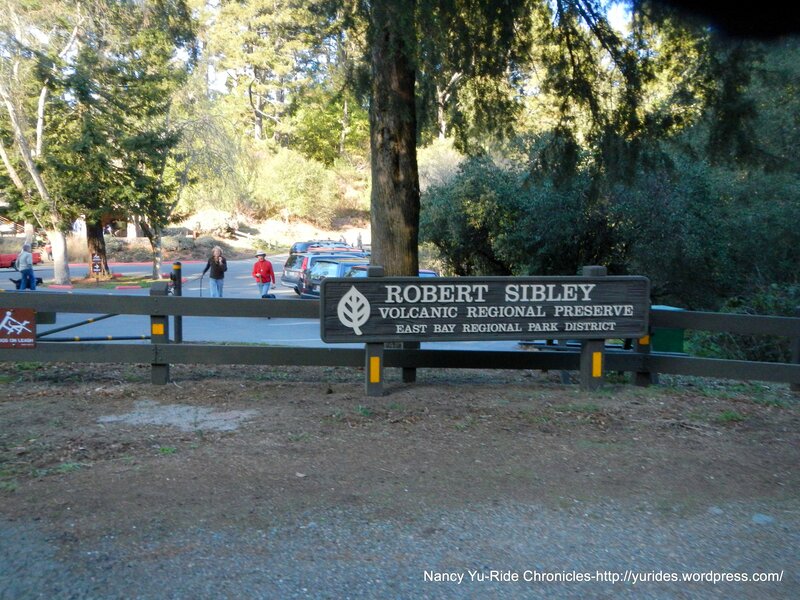 The first few miles on Skyline is slightly downhill, then it’s rolling terrain all the way to the summit at Robert’s Park. 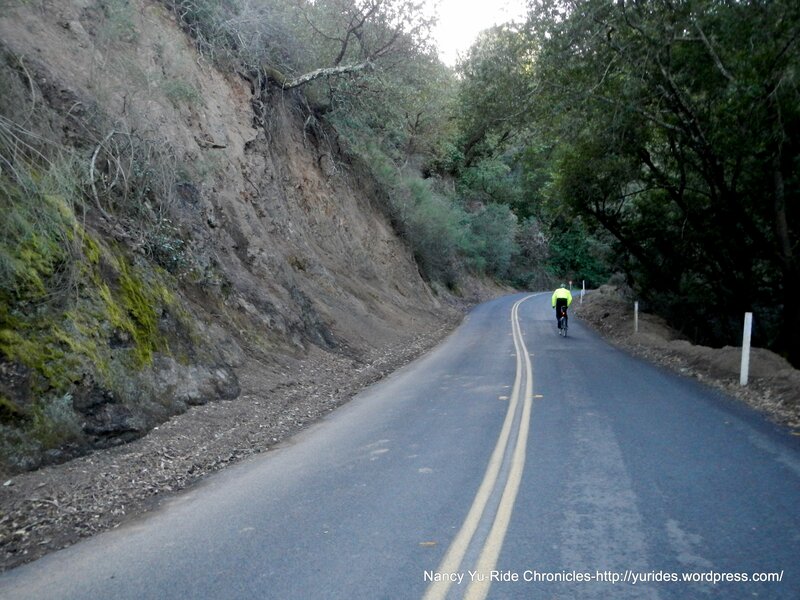 The 3/4 mile section of road between Manzanita Dr and Pinehurst are really bad; it’s a mine field of huge potholes and large fissures-watch out! 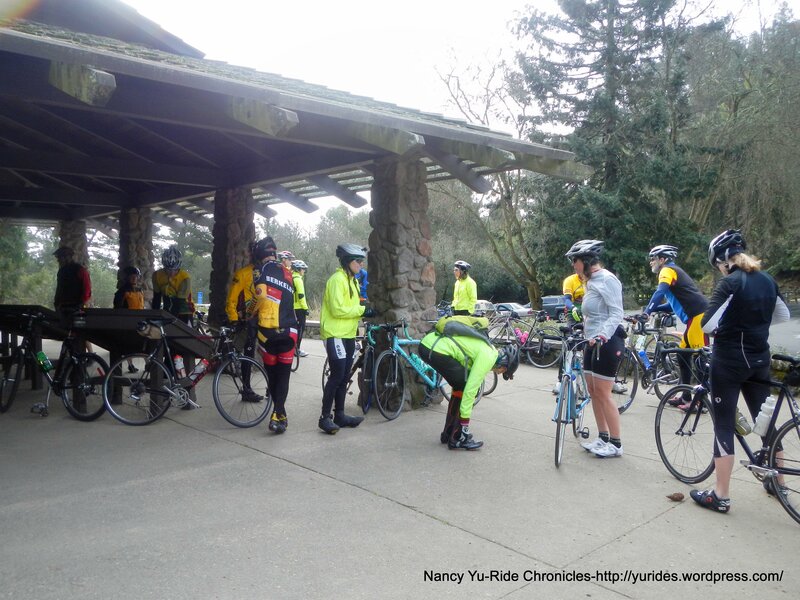 The descent on Skyline brings us to the intersection with Joaquin Miller; if you’re not pressed for time, take a moment and stop to enjoy the fabulous city views below-it’s pretty awesome! 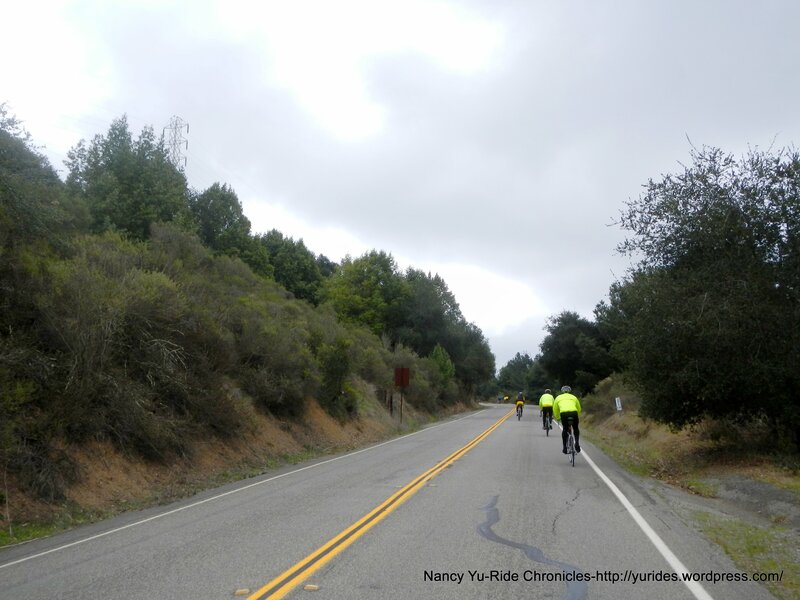 We continue down Skyline to the ripping 2+ mile descent on Redwood Rd. 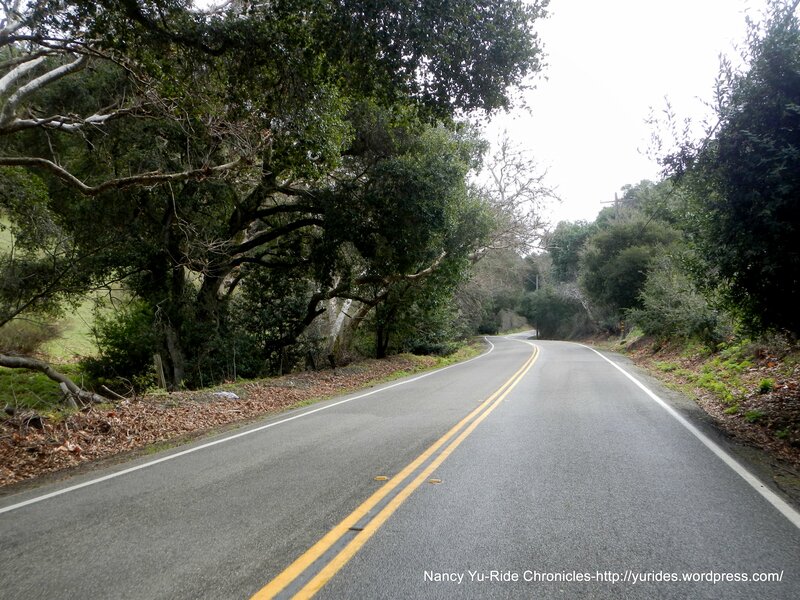 I think it’s one of the most gorgeous and beautiful stretch of road around here! The pavement is nice and smooth, the sight lines are great and you don’t even have to touch the brakes. 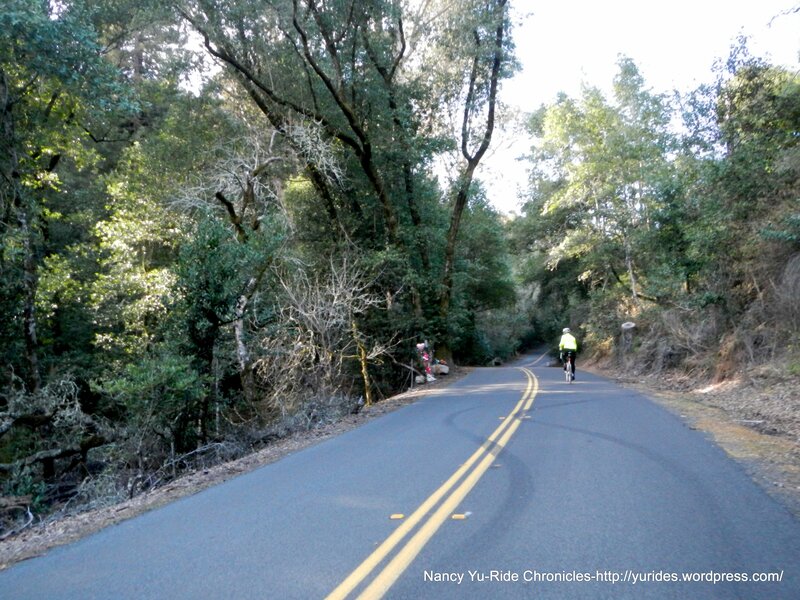 You’re rolling along the edge of Redwood Regional Park-the smell of the redwoods is very fresh and cool-it’s very invigorating! 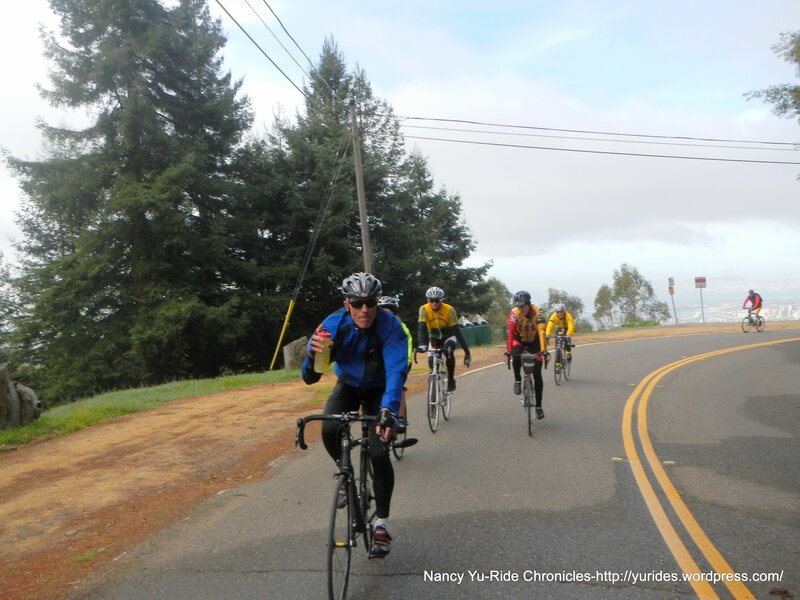 The climb on Redwood Rd begins at the intersection with Pinehurst Rd; it’s about 7.5 miles from that point to Willow Park Golf Course. The gentle rolling terrain stops as you approach Bort Meadows; from there, the gradients increases to ranges of 5-7%-there is a false summit! The road levels out as you near Marciel Gate. 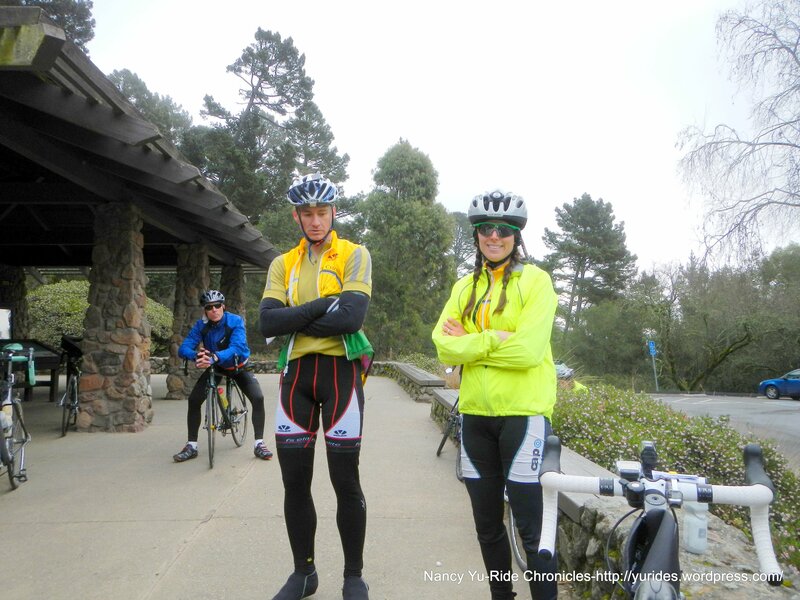 The fun sweeping descent brings us to the regroup at the golf course. Water and restrooms are available. 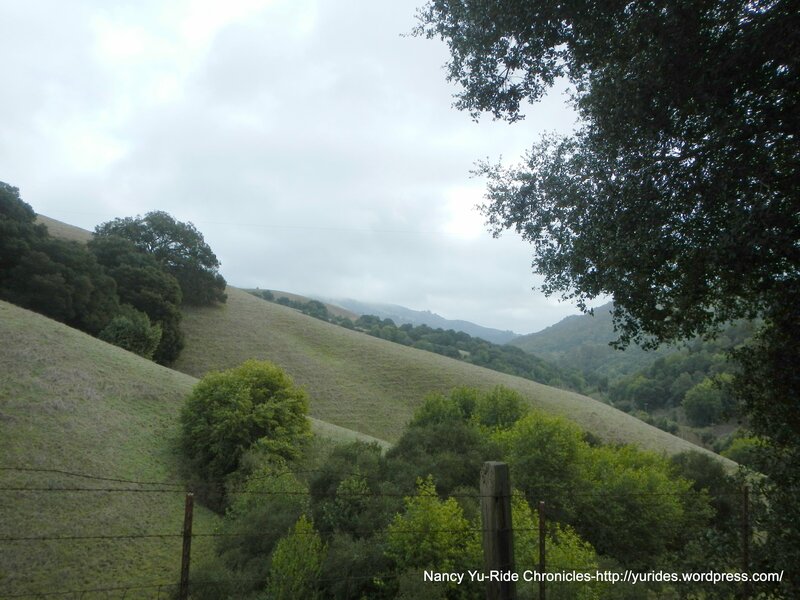 Staying on Redwood Rd takes us into Castro Valley. 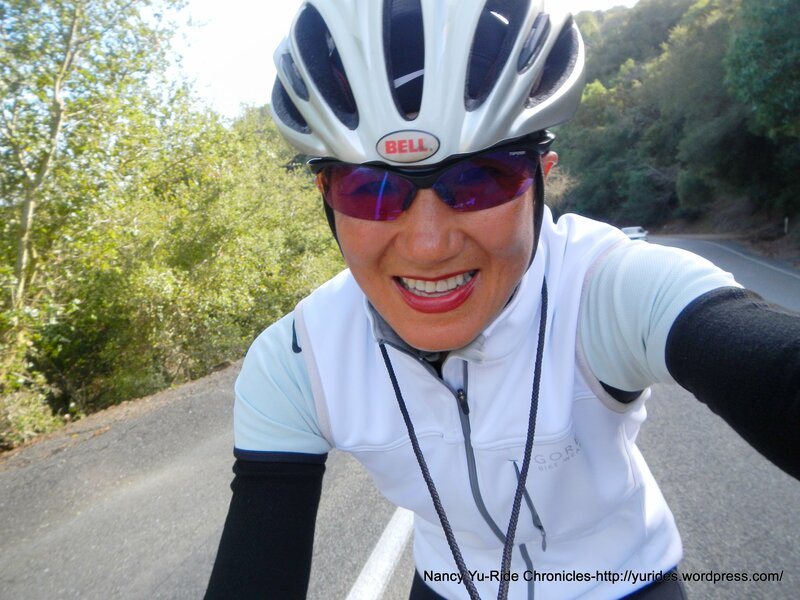 For me, riding through city traffic requires more alertness and quicker responsiveness-you must pay attention to your surroundings and watch out for cars every which way! 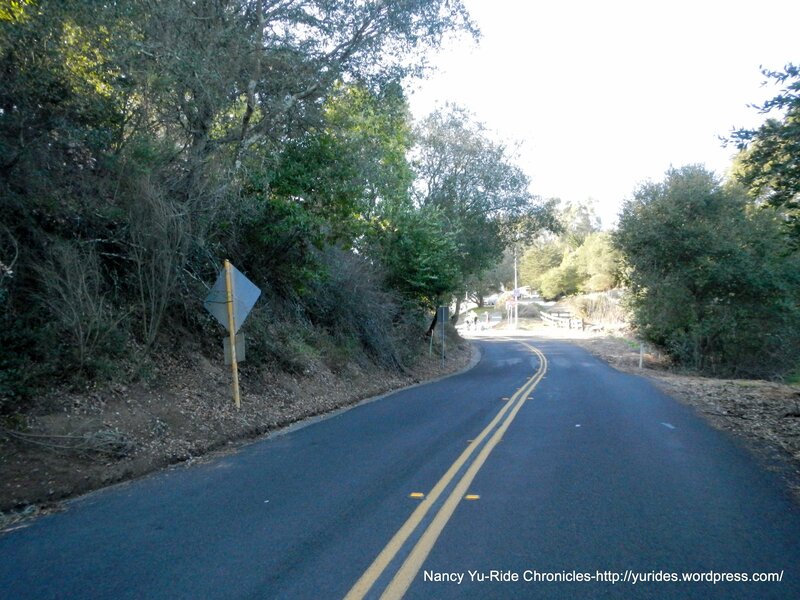 The climb up Castro Valley Blvd takes us under I-580 to the turn on Palo Verde Rd. 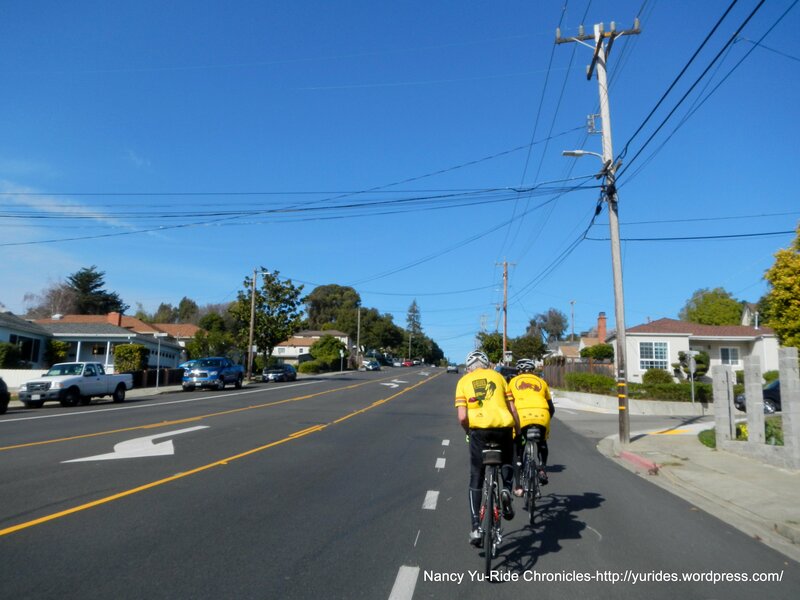 We’re off the heavily congested city street to the namesake climb of the day- Palomares Rd, both north and south sides! 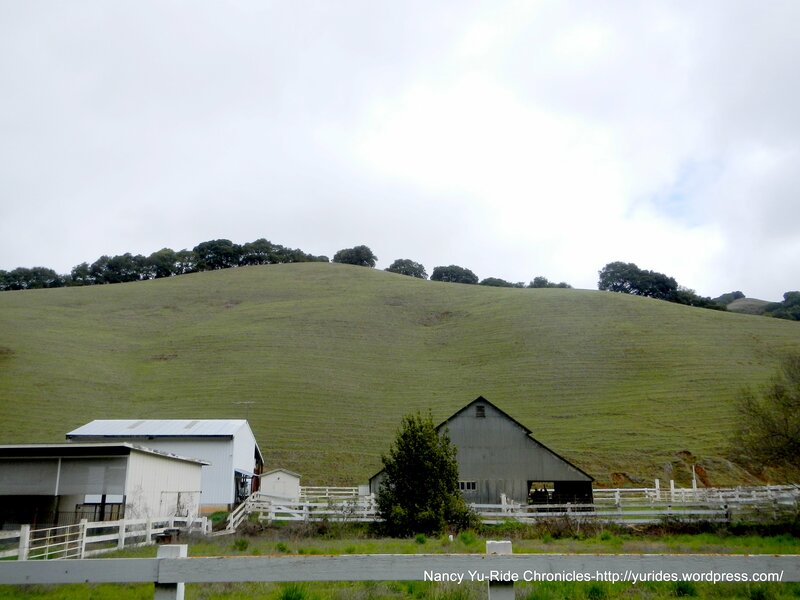 This country back road starts off with very gentle rolling terrain through a quiet neighborhood of huge homes and horse ranches. 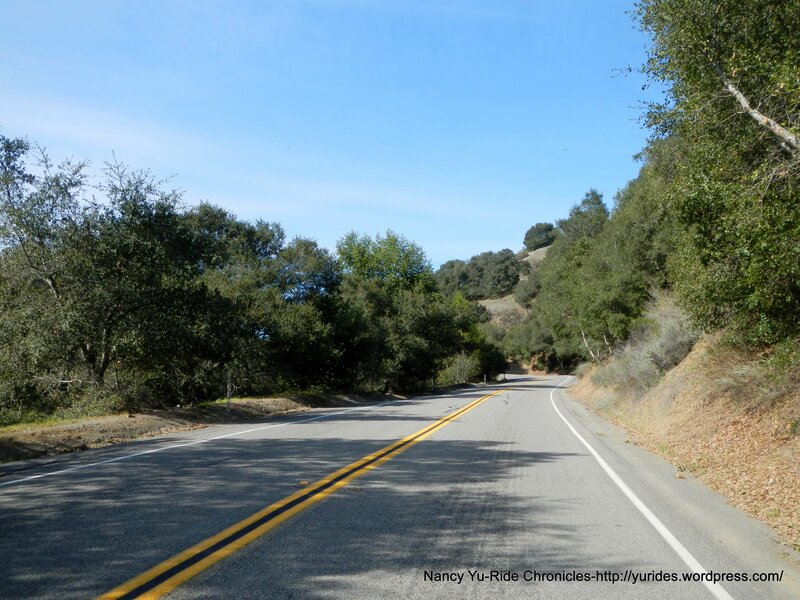 The climb is a bit over 5 miles, the steepest section of road begins at mile marker 4.05. The gradient kicks up to a steady 7-8% and reaches 9-11% as you reach mile marker 4.74. It maxes out at 13% as you approach the yellow right arrow sign near the summit. 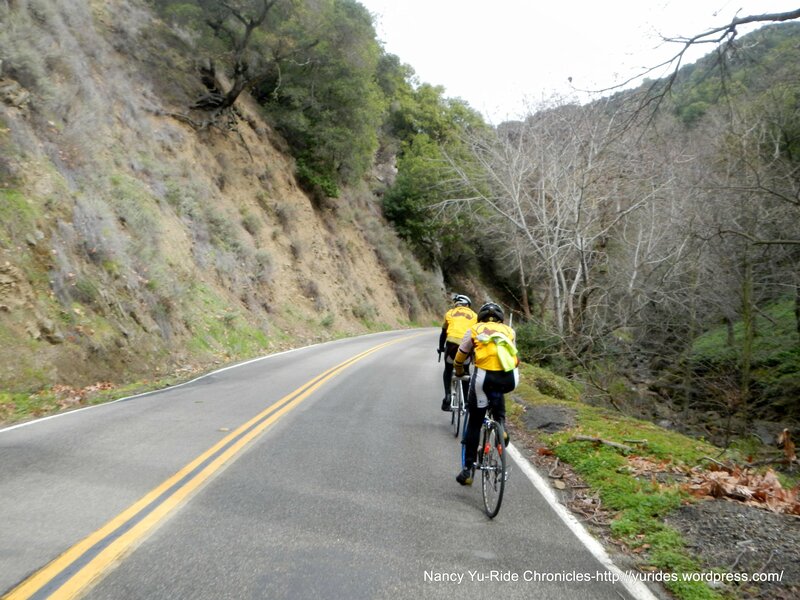 The descent down Palomares through the canyon and along the creek is wonderful! We make a U-turn at the bottom and climb back up the south side to the summit. We all get used to seeing road kill nowadays, but there was a small grey fox lying on the side of the road-it’s a rare sight to see-kind of sad really. I also spot a newt making its way to the creek. 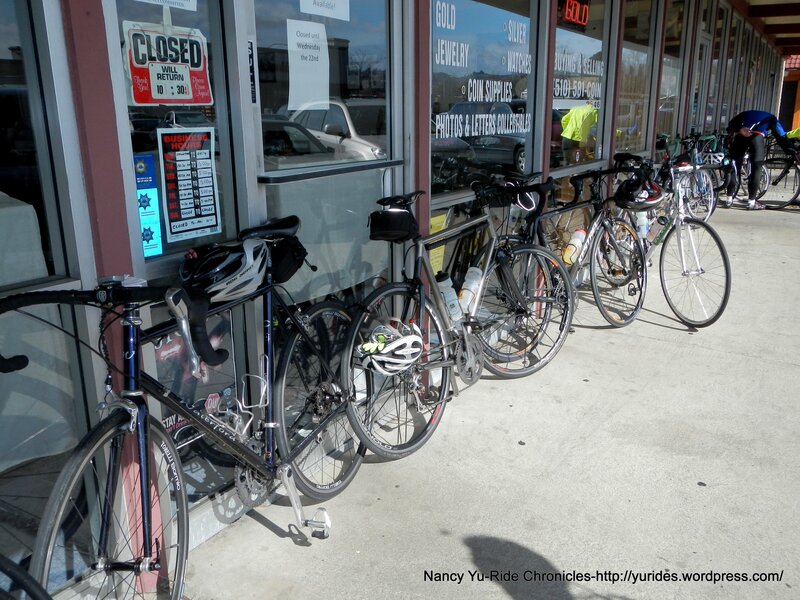 There is another regroup at the summit. 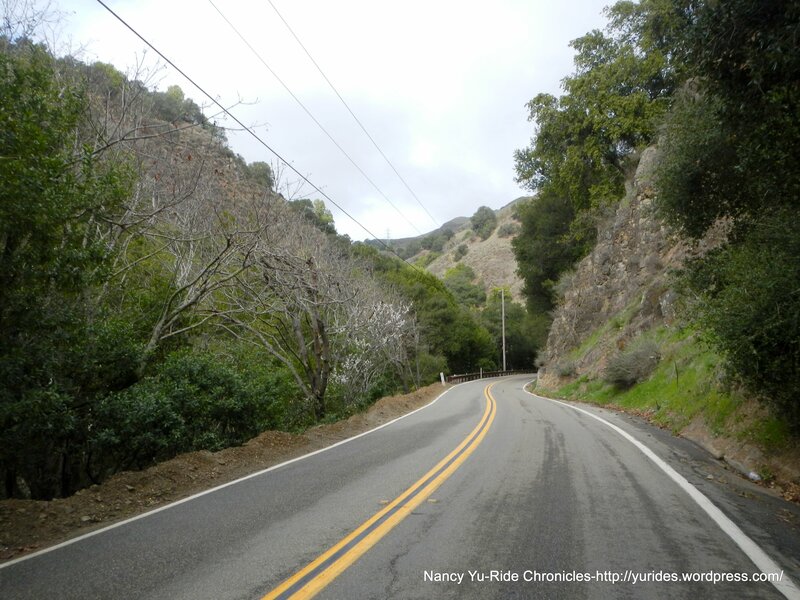 The descent down north Palomares is crazy fast; the sweeping turns on smooth pavement are incredible. It takes concentrated effort on my part to stay tucked behind Michael all the way the bottom of the road. 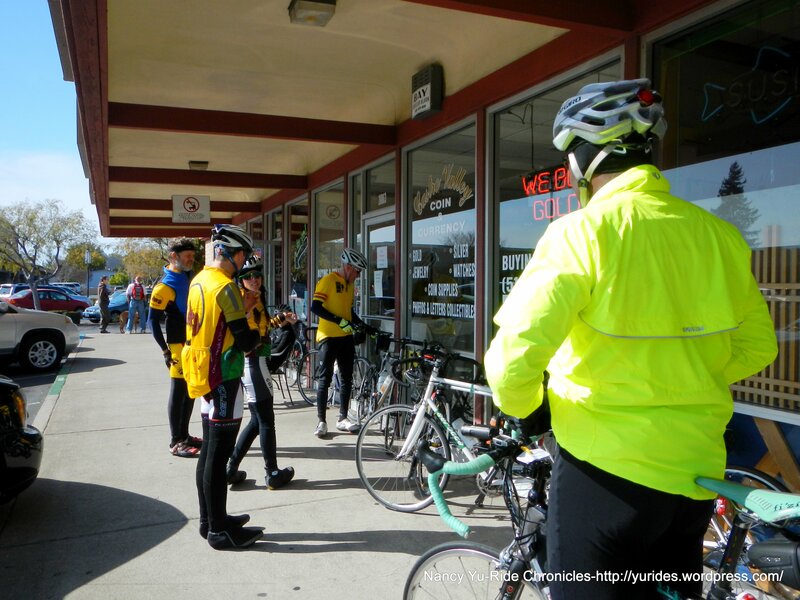 Our lunch stop is at Tom & Tina’s Deli off Redwood Rd in Castro Valley. 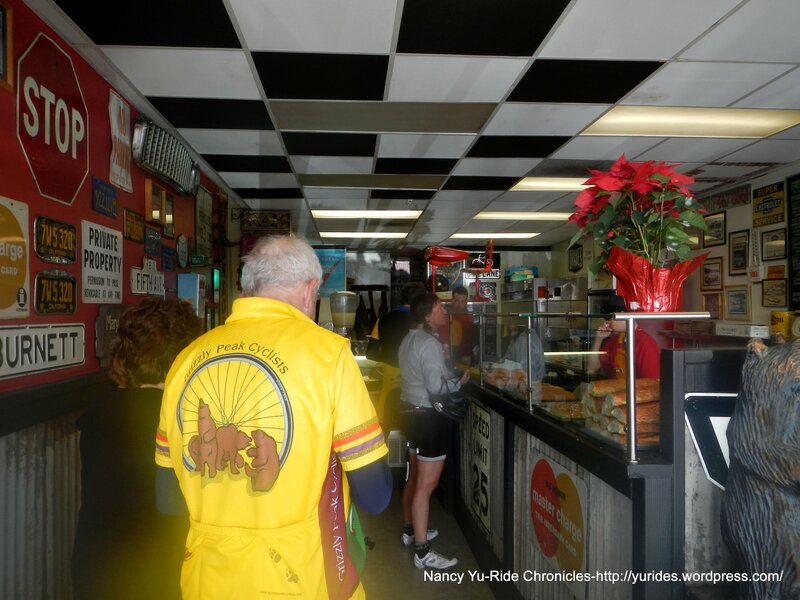 They serve a variety of sandwiches and deli items. Water and restrooms are available at the nearby Lucky store. 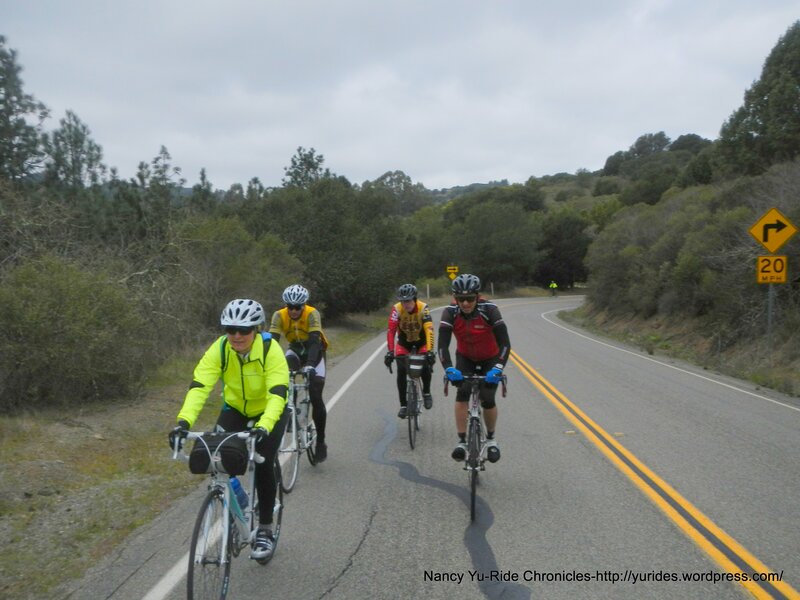 We return on Redwood Rd and hit Proctor Hill before leaving Castro Valley. The climb back up east Redwood is a bit longer and steeper. The first mile pass the golf course is pretty flat; the climbing begins after you cross the bridge. It’s a steady 6-7% all the way to Marciel Gate. 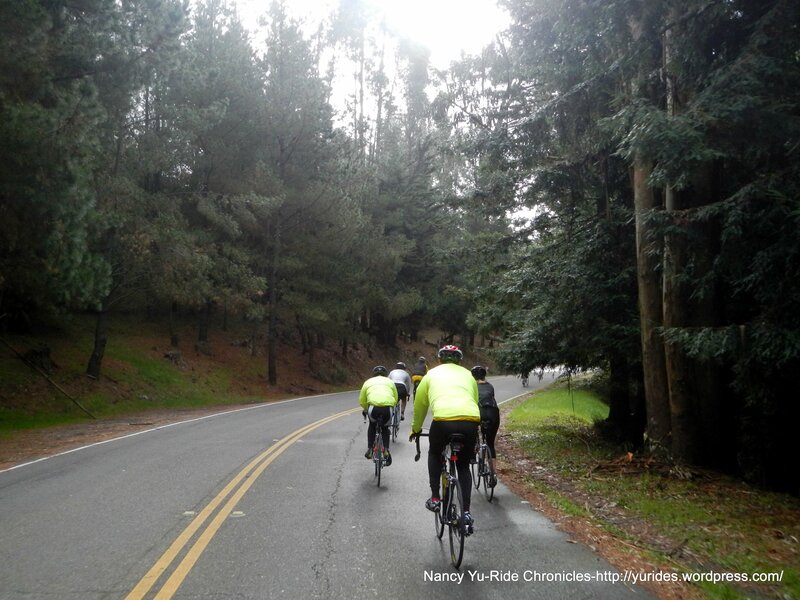 The rolling terrain thereafter takes us to the short climb up Pinehurst Rd. 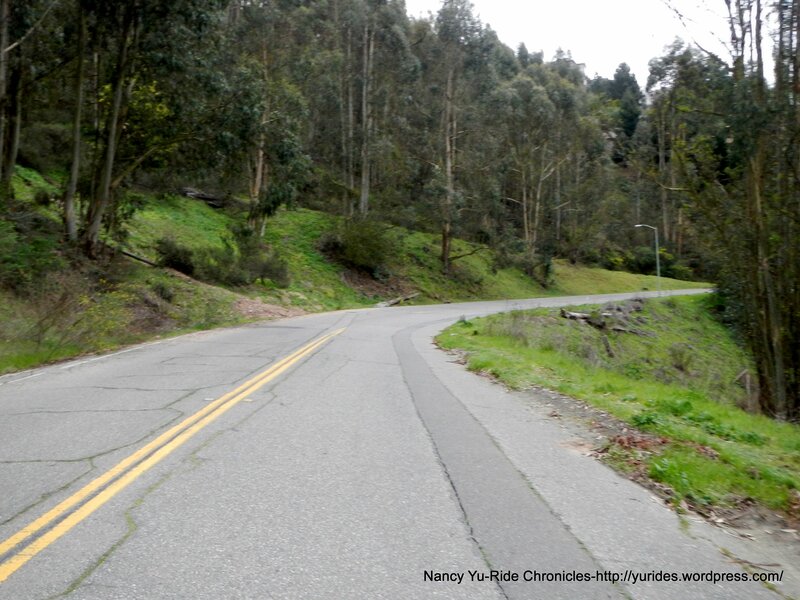 South Pinehurst Rd up to Pinehurst Gate is about 1.25 miles with an average grade of 4%. There is a short steep 8-9% pitch as you approach the top. The descent is very twisty with several tight turns. 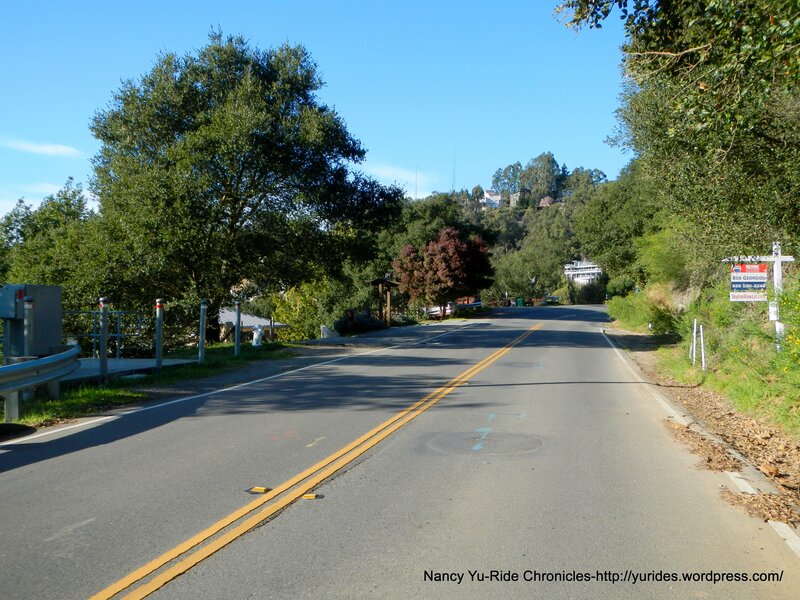 We continue on Pinehurst Rd through the small town of Canyon to Skyline Blvd. 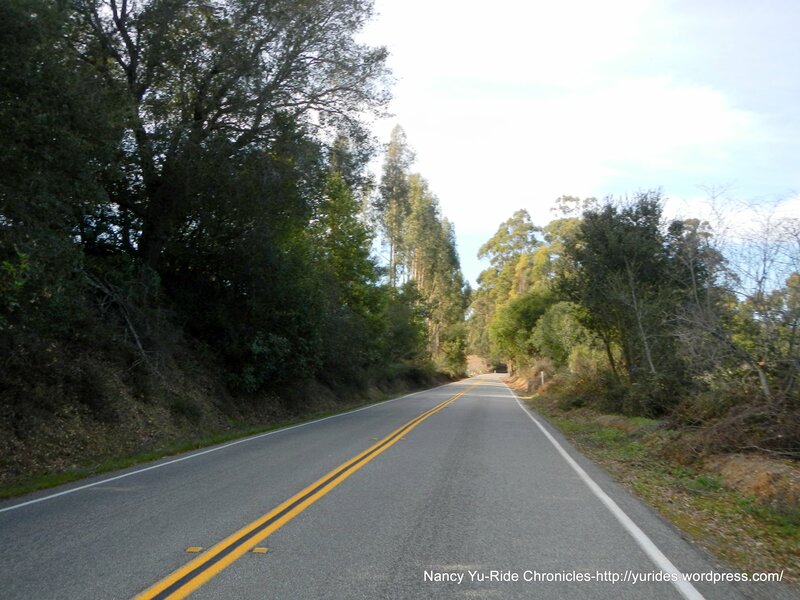 It’s a 4 mile stretch of road that starts off quite gently under the redwoods and dense covering of trees. 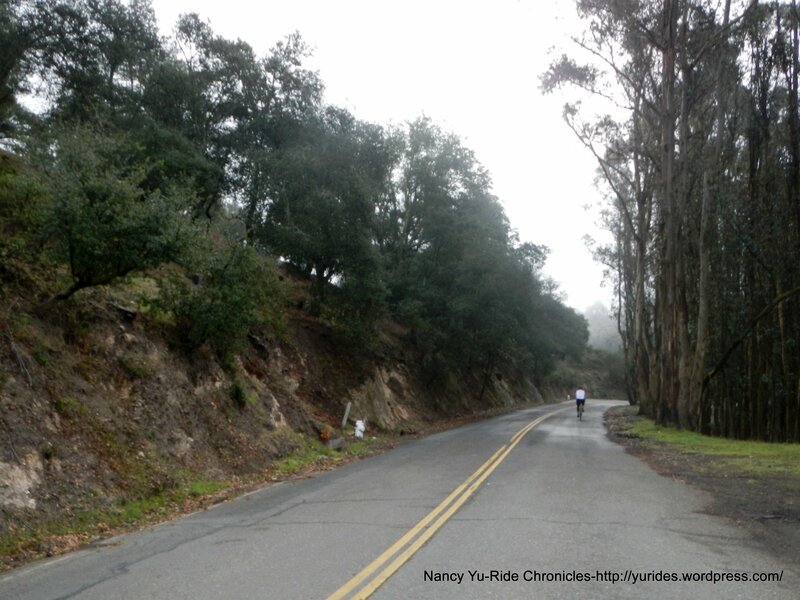 The steeper climb begins at the left hairpin turn; it’s about 1.25+ miles with an average grade of 5.25%. 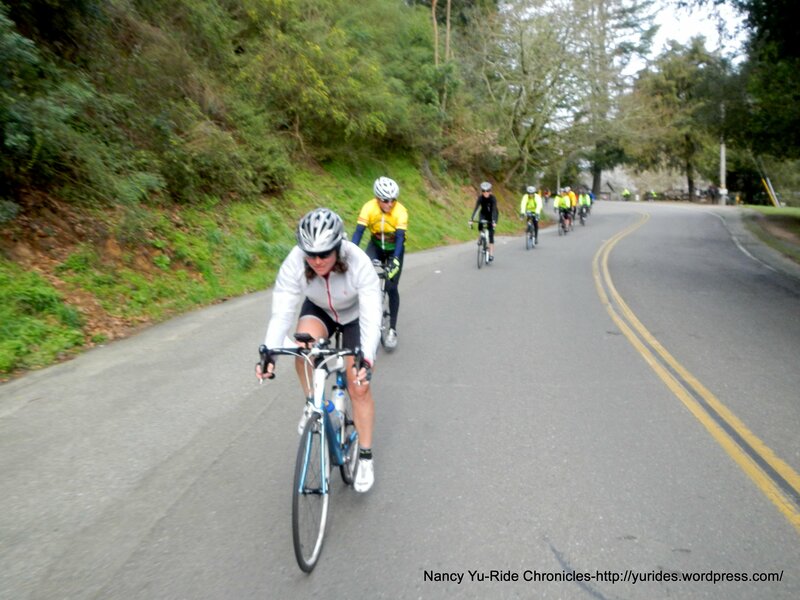 The last quarter mile is the steepest; the grade increases to 9% and maxes out at around 12% as you near the top. 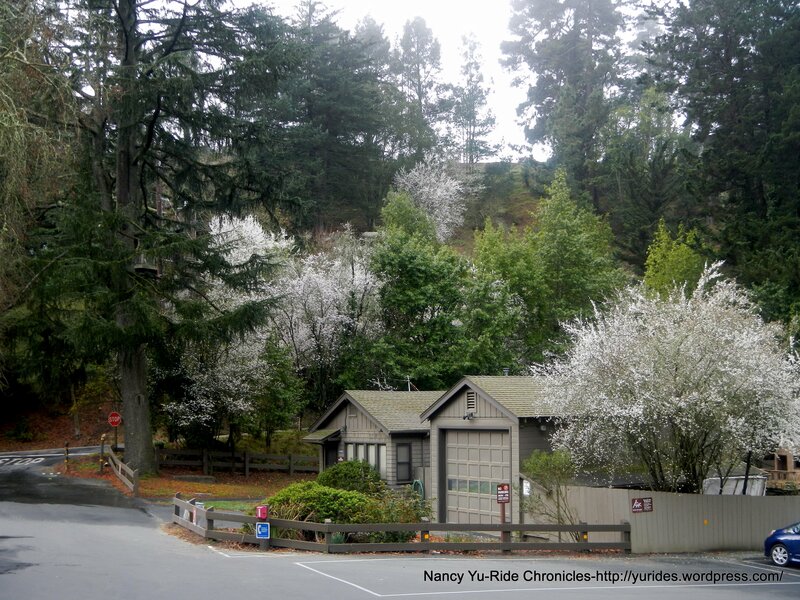 Skyline Blvd takes us back to Sibley Park. 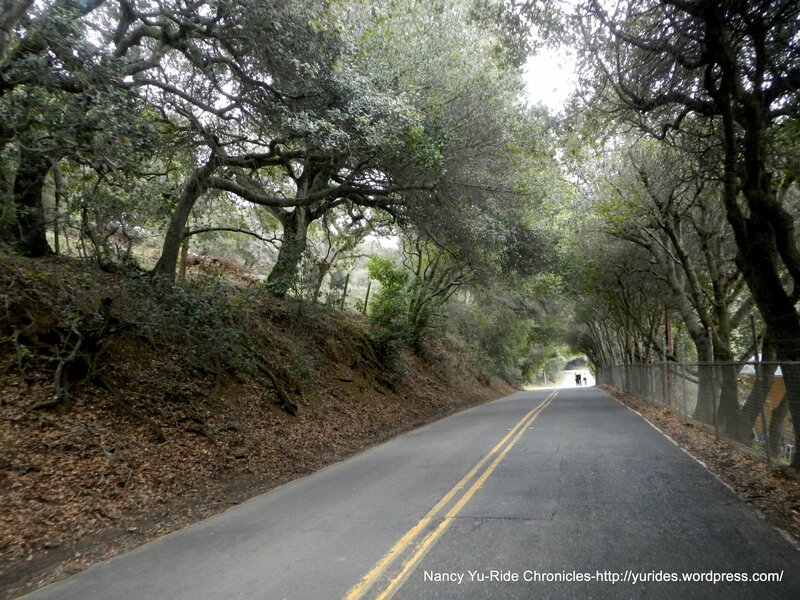 We descend Tunnel Rd to Broadway and back to Lake Temescal. Thanks to Lisa and Jason for leading! 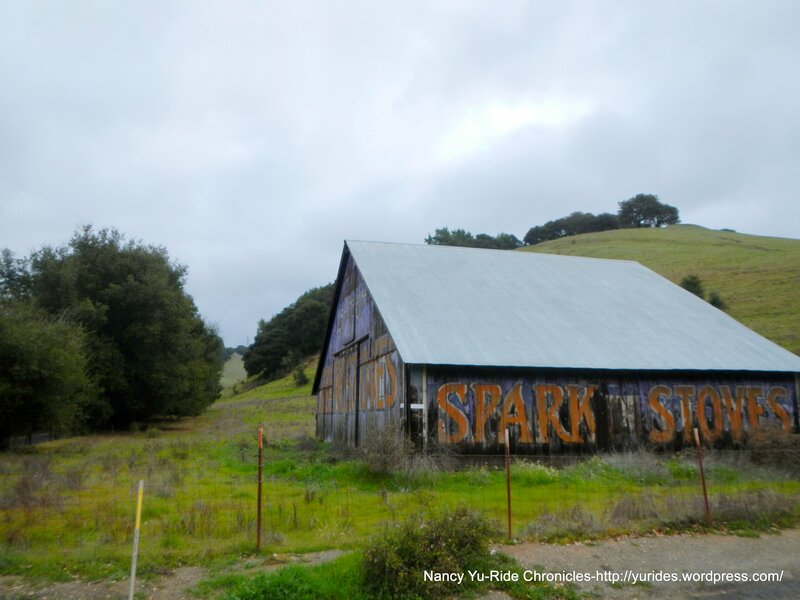 What a great way to spend the day-being outdoors and enjoying some of the gorgeous back roads in the Bay Area. 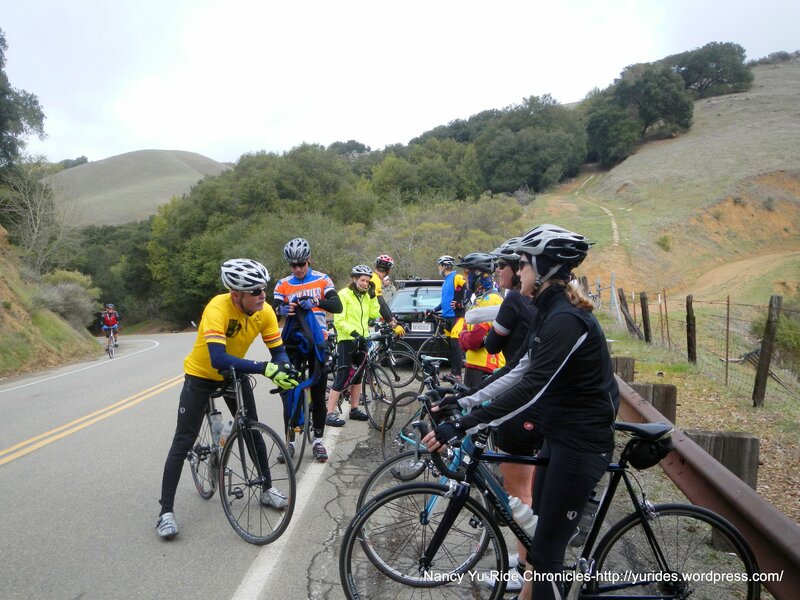 Next Post → Larkspur Ferry to SF & the Marin Headlands-Birthday Ride!